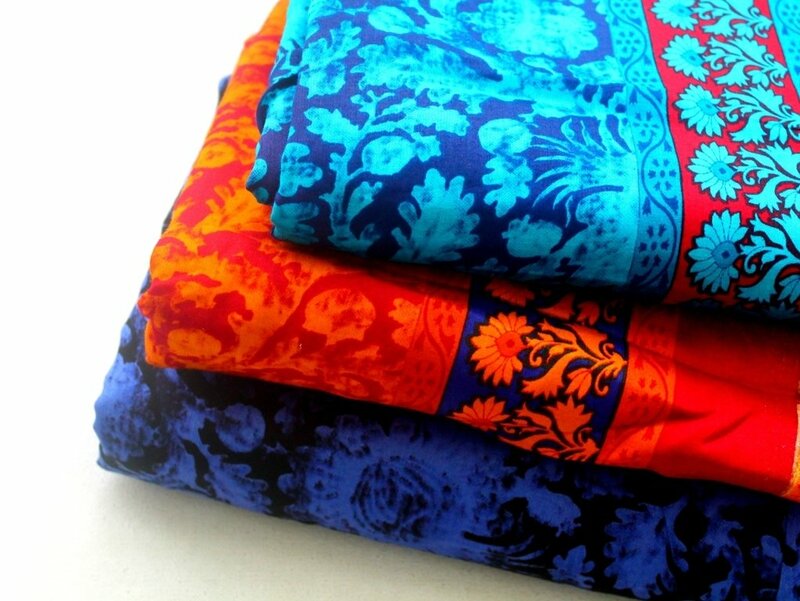 Gorgeous bright colors glace cotton fabric. sold by half yard - purchasing more than 1 quantity will get uncut continues piece. Machine washable and wash dark colors separately. Do not hesitate to contact me if you need more quantity or if you have any questions.